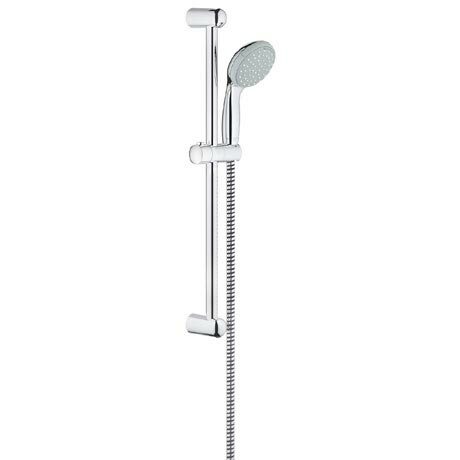 This premium New Tempesta 100 Shower Slider Rail Kit is perfect for upgrading your shower. The kit consists of a 600mm shower rail, 1500mm hose and a luxury shower head with 2 spray functions. Indulge in a relaxing shower with the two revitalising spray functions - Rain spray: A soft, delicate pattern to soothe the skin, mimicking warm summer rain or Jet Spray: A focussed circular spray, which delivers a refreshing burst of water.